As the season for Historical European Martial Arts gets into full swing, here’s a list of some of the forthcoming events we’ll be attending. We have some local events for study classes and demonstrations, with some further events around the country. One of our ‘home’ events, we are hoping to take plenty of historical kit for display, put on some HEMA demonstrations and take the plastic fencing kit for the kids. The closing event of the Okehampton Sports and fitness festival, we expect to be there with more demonstrations and junior sports fencing. Organised by our friends at Iron Door Collective from Exeter, another local event out in the Devon countryside. One afternoon, six HEMA workshops, two hours of freeplay and dinner. 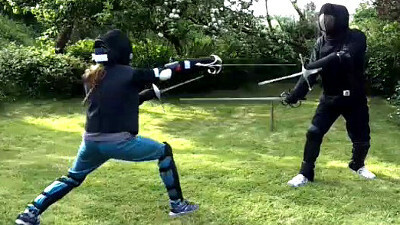 Virtus Swordschool’s annual event with classes, competition and good fun. Sat-Sun 21 July–22 July: QuadroHEMiA 5: Three Years On! Hosted by Wolfshead Western Martial Arts, with participation of some of the top HEMA groups around the country. The Grange, Frog Lane, Coventry, CV7 7FP. The premier HEMA event of the year with a full lineup of instructors and competitors from around the world. Europe’s, if not the world’s, largest gathering of fencers dedicated to the practice and study of the smallsword, hosted by Black Boar Swordsmanship School. We may not get to this, what with it being in Edinburgh and us being in West Devon.